An outcast in her own home for as long as she can remember, Lynelle Fenwick will do anything to earn her father's approval. 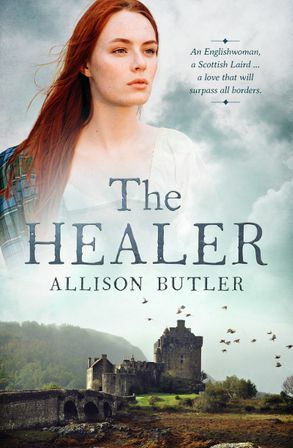 Including exaggerating her healing skills, and setting off alone to rescue her step-brother from a band of raiding Scots. Allison Butler is an author of Scottish historical romance. She spent her early years in country New South Wales building pretend castles with hay bales and leaping white posts with her army of two older sisters and a younger brother. Many years later, with her mother's influence, she discovered a passion for words and history, read her first historical romance and was inspired to create her own. She writes by day and cares for the elderly by night. Her love of travel has given her the gift of many amazing sights but none more heart-stirring than the rugged beauty of Scotland. Allison lives in a small town in New South Wales, Australia, with her very own Scottish hero, two beautiful daughters and a Jack Russell named Wallace. She loves travelling, dancing like no-one's watching and seeing the sights from the back of her husband's motorcycle.